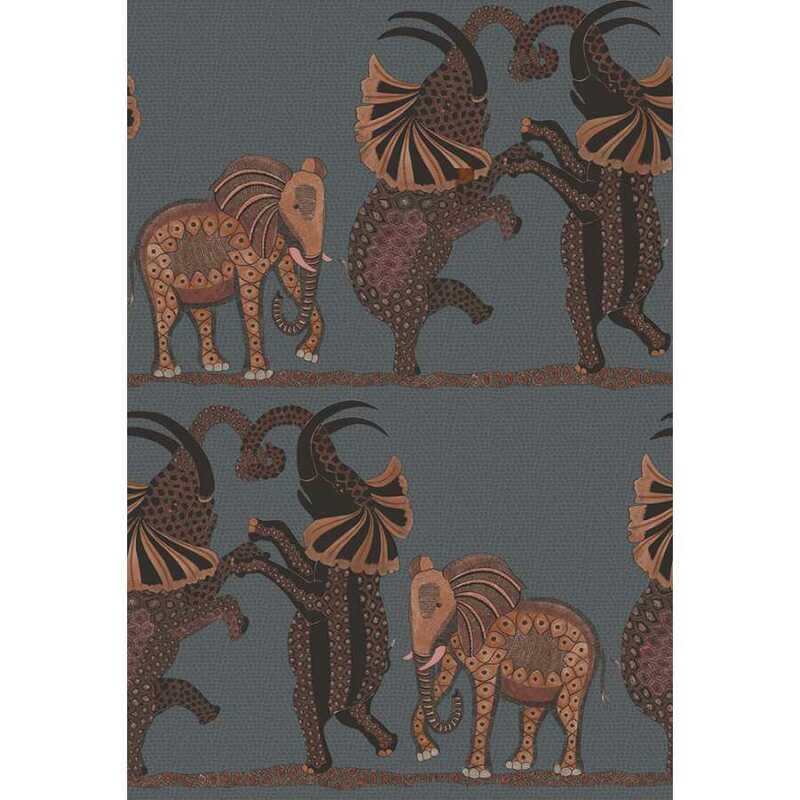 The Cole and Son Ardmore Safari Dance collection is available in five different colourways and consists of an elephant motif that was originally featured on a series of large decorated urns painted by Zinhle Nene that are currently situated at the in the Ardmore museum. 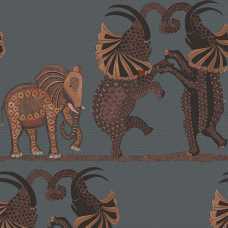 In order to keep the intricateness of the hand drawn elephants the colourways have been kept relatively quiet. 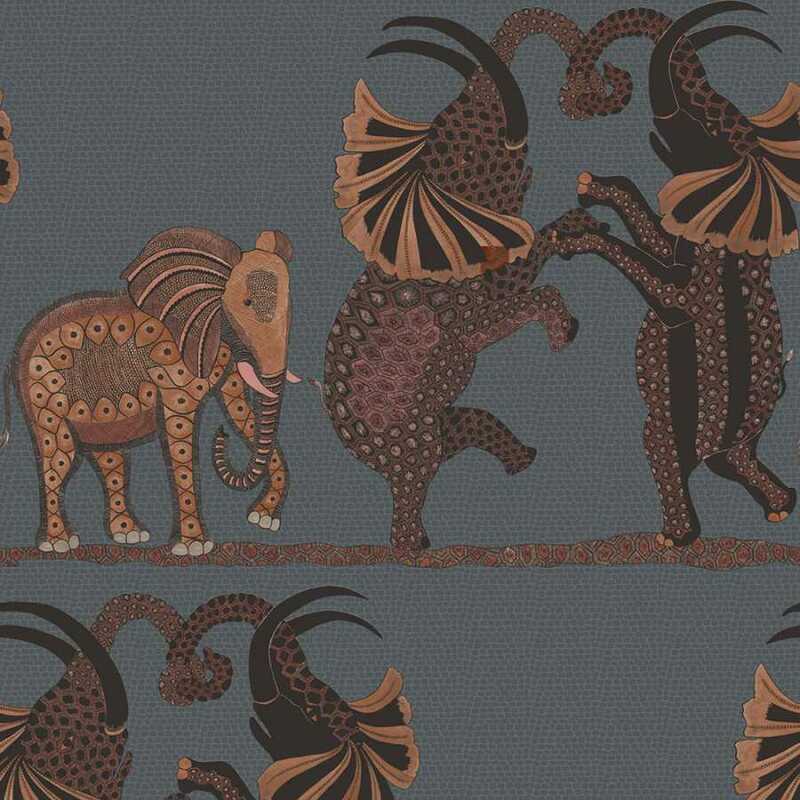 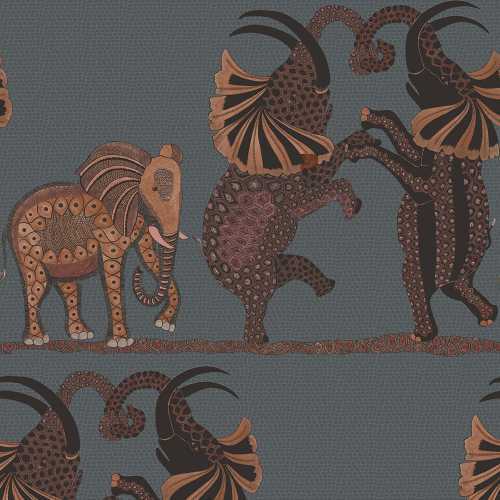 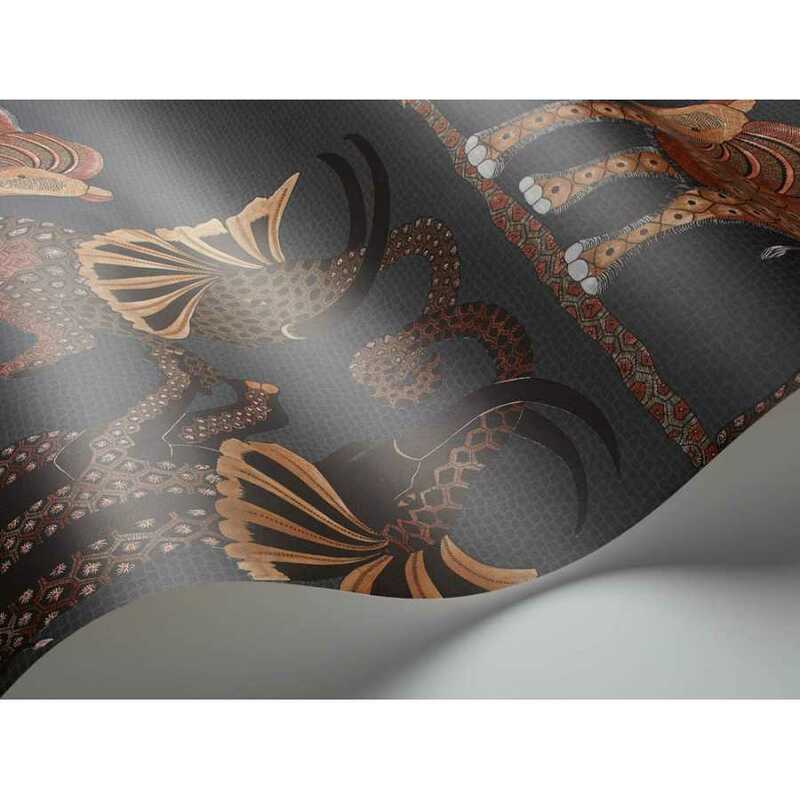 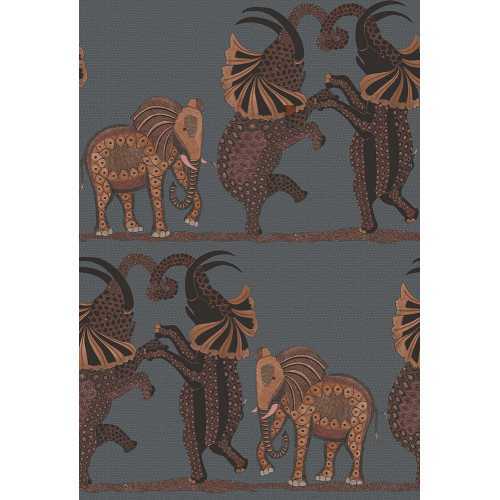 The Ardmore Safari Dance 109/8040 is the darkest of the colourways with the background of the print consisting of a dark navy and the elephant motifs a mix of black, oranges and purples resulting in a bold and exciting wallpaper.